Earthday is coming up and we’d like to share two ways to support Public Citizen’s Texas office through EarthShare programs! For those who are able to give to EarthShare through your work place charitable giving campaign, we thank you. 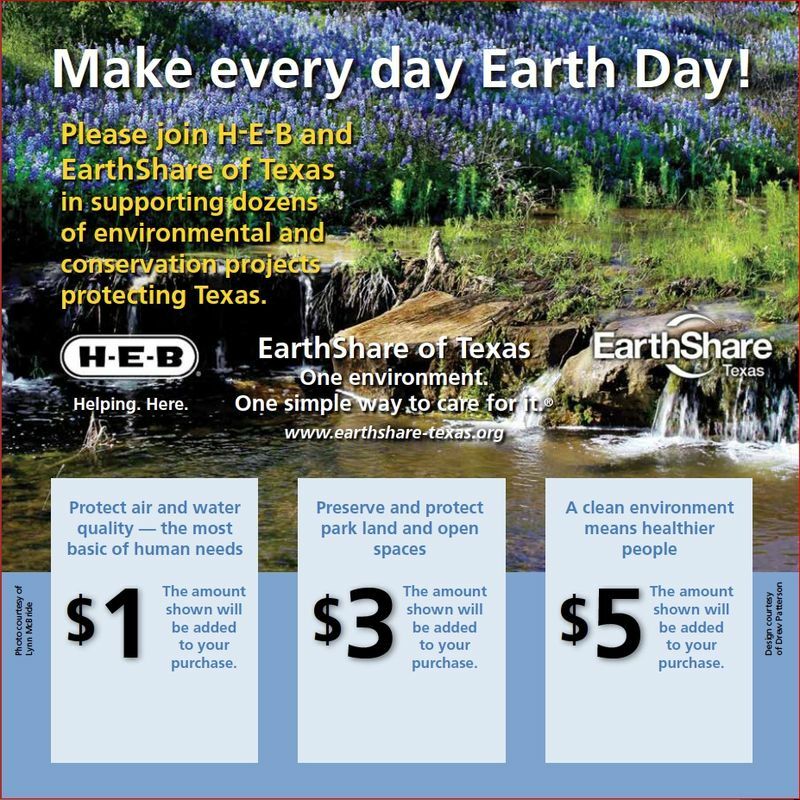 For those who do not have that option, Public Citizen is pleased to announce that H-E-B has selected EarthShare of Texas to be the April beneficiary for its in-store coupon promotion for the fifth year in a row. As an EarthShare partner, Public Citizen will benefit from this promotion as well! Whenever you shop at H-E-B from now until May 4, grab one of the tear-off coupons at the register to add $1, $3, or $5 to your total bill. Those extra dollars go to EarthShare, and at the end of the campaign, BikeTexas will get a portion of EarthShare’s total proceeds for the month. You can join in at any H-E-B in Texas. Support bicycle advocacy while you pick up your lettuce! Reliant Energy customers also contribute to the EarthShare campaign making a donation every time a Texas customer purchases a carbon offset. All the Earthshare programs receives a portion of those donations. If you live in a competitive electric service area that Reliant serves and are a customer, consider making Earthday year round by participating in their carbon offset program. Public Ctizen is happy to be partnered with many organizations across this state who support making Texas a leader in clean, sustainable energy. Thank you for supporting Public Citizen!